Professor Jeremy Tomlinson graduated from the University of Oxford Medical School in 1995, having previously completed his undergraduate degree at the University of Cambridge. He embarked upon a career in Diabetes and Endocrinology and secured an MRC Clinical Training Fellowship in 2000 and obtained his PhD from University of Birmingham studying steroid metabolism and human obesity in 2003. Subsequently he obtained personal fellowships from the Wellcome Trust and most recently the MRC investigating the pathogenesis of human obesity, NAFLD and insulin resistance. His work has focussed on the regulation of steroid hormone action and metabolism. He is currently Professor of Metabolic Endocrinology at the Oxford Centre for Diabetes, Endocrinology and Metabolism, University of Oxford. 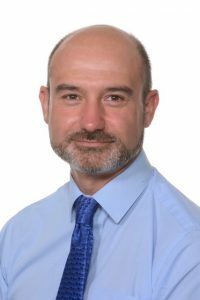 Alongside his clinical work as a consultant endocrinologist, his research continues to explore the role of steroid hormones in the pathogenesis of diseases including NAFLD and PCOS.